Whenever I take my youngest son to his swimming lessons I see these ridiculous plastic overshoes people are told to wear, and I am filled with a deep despair for the future of civilization. Why on earth does such a small thing provoke such a disproportionate response I hear you ask? Because someone somewhere made the conscious decision to try and make people visiting the swimming pool use plastic overshoes (made lest we forget from oil) instead of just asking people to go barefoot. On one hand you have to admire the rank capitalist chutzpah on display here: they saw an opening and went for it. Telling people to just go barefoot to stop tracking in dirt from outside? – feck that! – let’s sell them a product made from rapidly depleting oil, that they can use a maximum of three or four times! And before I get a backlash from corporate-capitalist apologists, let me remind you – these are explicitly for keeping the pool hall tidy – not to keep any foot infections away from anyone else. 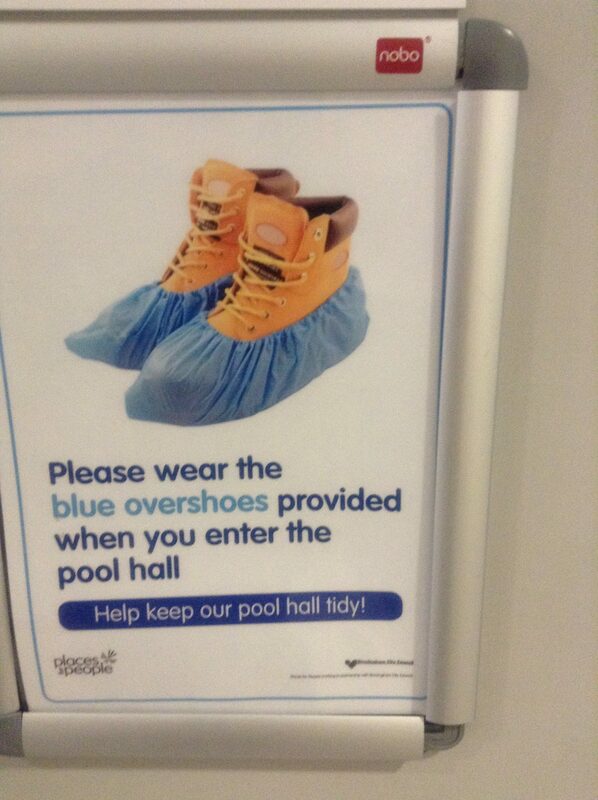 I am assuming that anyone who did have such an infection would wear these overshoes… – but that’s not the stated aim of the management of the pool in asking you to wear them. When I am at the pool it is amazing to see so many people blindly follow the instructions and put them on. And not one person – member of staff or general public- has ever objected to me going barefoot. Nothing better sums up – to me – the short term, limited thinking of our society than what these ridiculous bloody over-shoes represent. This entry was posted in Uncategorized and tagged Corporate-capitalism. Bookmark the permalink.